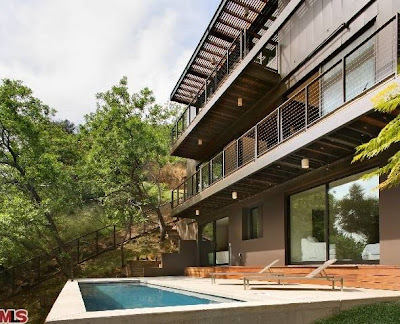 This newly constructed home designed by architects Marmol Radziner in the Hollywood Hills won an AFLA award for architectural design. In addition, it is registered with the U.S. Green building council and Gold LEED certified. It was constructed using non-toxic materials including denim insutlation, radiant heat and solar panels. Oh yeah and it looks gorgeous as well.